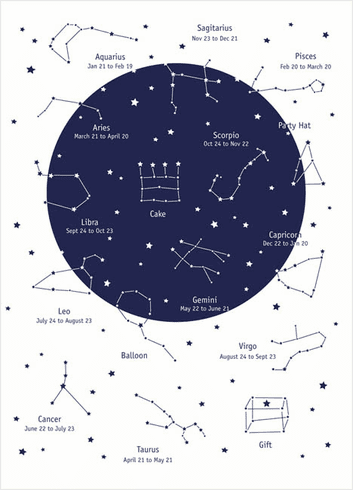 Outside: Constellations of astrological signs. Inside: Here's to you. Happy Birthday!